Interested in volunteering while studying in Ireland? Our Brazilian ambassador and Creative Digital Media student at TU Dublin Blanchardstown, Sayonara Pessoa Bittencourt shares her experience working with non-profit organisations. If you’re interested in becoming part of the Irish community, then I recommend you give volunteering a go! There are so many ways you can be helpful to your local community — you can use skills you already have and even learn some new ones. Here are some of the benefits of community participation, including examples of my own positive experiences. Most of the dedicated professionals I know are always looking for opportunities to improve their skills. I am a Graphic/Digital Designer – and a VERY curious one. For a long time, I was trying to find what I truly wanted to do within my field. I first started working as a volunteer in Ireland when I got the opportunity to work with the wonderful people at the Dublin International Film Festival as an assistant Graphic Designer.That experience made me realize that I love working with people and to ultimately work in the field of Human-Centered Design and User Experience. I really love this country, and I’ve always felt strongly about contributing to the community somehow. 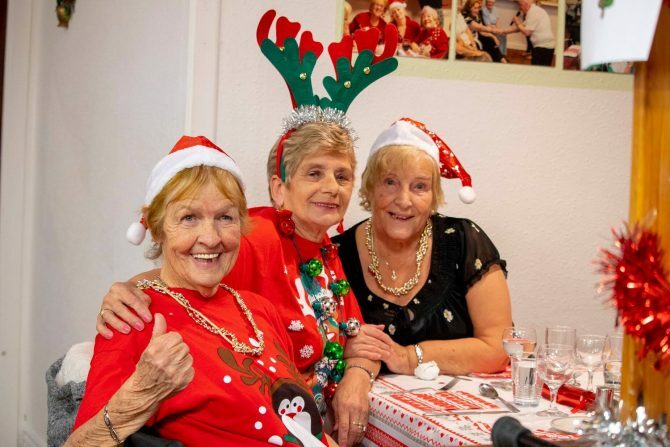 Lately I have been contributing my time to charities that do beautiful work, supporting older people who may be feeling lonely in Ireland (ALONE and Friends of The Elderly), as well as charities supporting homeless people in Ireland (Depaul). Getting to know these organisations and producing creative content for them (such as photography, video and graphic design) has been so rewarding! All of the people I’ve met through volunteering — charity staff and those who benefit from their hard work have helped me improve my social skills, which in turn helped me become a better User Experience Designer. Volunteering with these charities gave me an understanding of what people really need, and I’ve also been feeling more and more a part of the Irish community. I’m currently doing my Final Year Project in college on the Human-Centered Design field and I’m looking forward to seeing where this road takes me and how I can help the people that need my skills. There are so many ways that you can contribute as a volunteer — charities are always looking for specialised skills to help bring awareness to their causes. If you’re as crazy about your study/work area as I am, don’t hold back — knock on the door of your nearest non-profit charity and offer your skills. I promise you won’t regret it!